"Today bring to Me All Devout and Faithful Souls and immerse them in the ocean of My mercy. These souls brought Me consolation on the Way of the Cross. They were that drop of consolation in the midst of an ocean of bitterness." 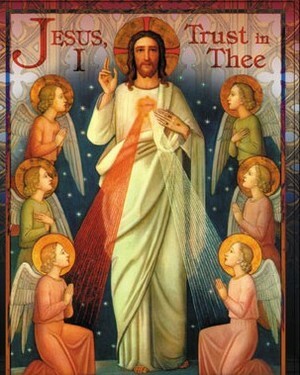 Most Merciful Jesus, from the treasury of Your mercy, You impart Your graces in the great abundance to each and all. Receive us into the abode of Your Most Compassionate Heart and never let us escape from It. We beg this of You by that most wondrous love for the heavenly Father with which Your Heart burns so fiercely.